Learn How To Build, Manage & Make Money From An E-commerce Website – #NoCodingRequired – Work From Anywhere! Norman Williams Street, Ikoyi Lagos. With over 500,000 online orders made daily, there is no doubt about the successful future of the e-commerce industry in Nigeria! 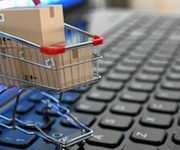 E-commerce business has successfully moved from an emerging market to a full blown revenue generation and sustainable expected to move from over $2 million worth of online transactions per week and close to $1.3 billion monthly in 2014 to an expected contribution of about 10 per cent, valued at N2.5 trillion to the GDP of Nigeria by 2018! Now is the time to tap into this market & unlock global e-commerce wealth & opportunities.Discover how to build, manage, increase sales & profit from an e-commerce website. This training focuses on revealing the secrets behind successful e-commerce websites and also the key channels for marketing and customer acquisition i.e. email, display, search, affiliates, aggregators, social and mobile, will also be examined, with a view to optimising their use in your own new business. 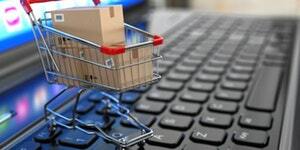 This course is openly available to professionals and individuals who wish to learn more about the e-commerce industry. Also suitable for entrepreneurs, students and anyone looking to start a new business & probably tap into the e-commerce wealth. Web developers who wish to sharpen their development skills and learn how to build & manage e-commerce websites can also attend. The training modules have been broken down so easy no previous coding knowledge will be required so for non-tech savvy individuals, this course is also a perfect choice. LagosJump Radio is a leading Lagos based online radio run by DJs and dedicated to promoting the rich afrobeat / afro pop culture through music and lively conversations. We run 24×7 playing you some of the best music coming out of West Africa and beyond.